Insured Trading App Review - Confirmed Scam ; Proved! Insured Trading seems to be the binary options trading system which can give you the opportunity of making $750 per hour. 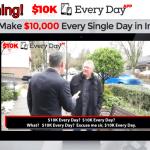 That means you can earn $18,000 in a day with this trading app and become a millionaire within a few days. Well, it sounds very interesting and too good to be true. If you have a minimum knowledge of binary options trading then you will understand that it’s practically not possible to earn such figure unless it’s a scam system. Yes! that’s what we are talking about. Insured Trading is the scam system which offers many attractive money making ideas and fake claims and tries to convince people to make an investment in their platform. 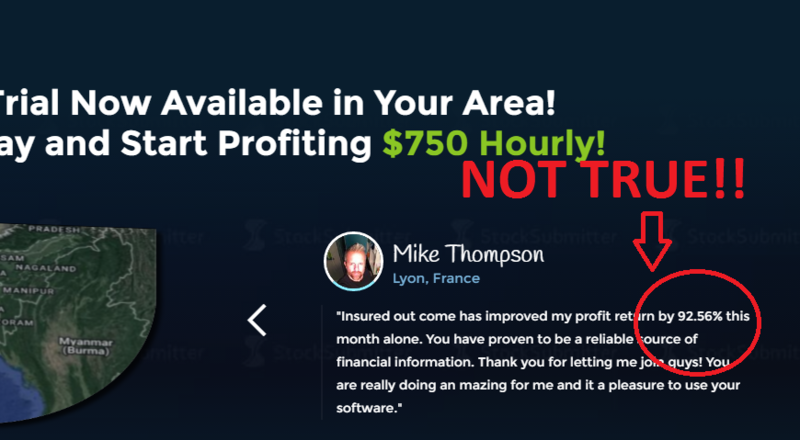 If you are thinking about why i consider it to be a scam system just give some time in reading this Insured Trading App Review carefully because I have listed many evidences which will prove that the system is a scam. Insured Trading is a binary options trading software which runs on auto-pilot and has the capability to make you a millionaire easily. 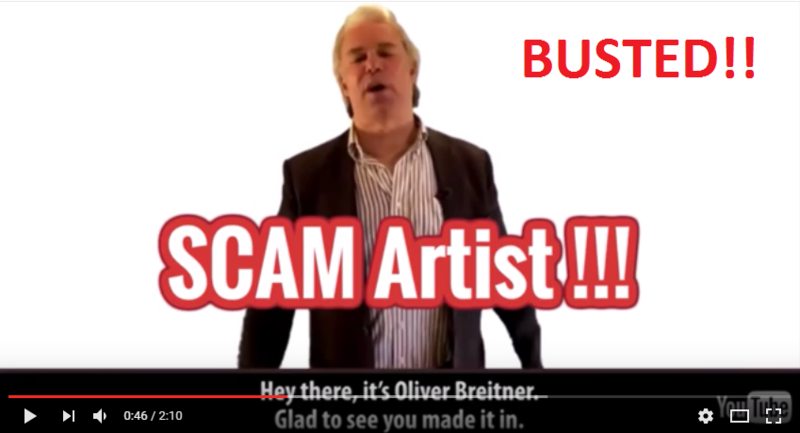 Olive Breitner is the man that you can see on the promotional video who claims to make $50 million investment to the development of this system. The software employs a unique algorithm which will make the trade win most of the times. So, there will be maximum chances of getting profit as per his claim. He also tells us that, his Insured Trading system has already made near about 17 number of people millionaires within just 58 days. Well, this type of statements sounds very good and attractive. 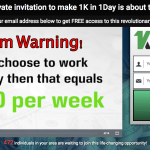 Unfortunately, these are stereotypical claims which every promotional video of a scam website makes. Here is the detailed explanation of Insured Trading App which will surely blow your mind after knowing the actual truth. Who is Oliver Breitner? What’s his connection with Insured Trading App? Oliver Breitner claims he is an experienced trader who belongs to a rich trader family and he has his own offices in London and in the famous Wall Street. In the video we can see him introducing the Insured Trading software to the people but there is no clearance of the fact that he is the original developer of the Insured Trading App. Well, as he said, he comes from a very rich and influential family of traders there must be information about him on the web or he must be active on other social networking sites. So, to find that out I made a thorough research over him on the internet. After all the investigation what I got is something very hilarious. There is no informatin about him anywhere and he is even absent from important social media sites like Facebook or LinkedIn. All his claims about his famous family are nonsense and it’s all a very fictitious story. It is also not clear whether he is the developer of Insured Trading App or not. In fact I did not find any information about the developers of this software. This proves that the real scammers behind this software are actually hiding their identity and most probably, Oliver is a personality who don’t even exist in reality. They say it is free to use but there’s a catch! They have just promoted the false claims and fabricated it in such a way that you might believe their words at some point. They said, the Insured Trading app is free to use and it will help you to earn $750 per hour. But, when you go to their website to open an account, they will assign you with some bogus and unregistered brokers and also you need to deposit $250 initially. And we believe, that $250 amount will be gone forever from your deposit as soon as you make the investment. So, all your effort goes in vain along with the money. So, this claim of a scam software being free is actually a myth because you are not getting anything in return once you deposit money into broker account. In other words you are losing your investment for nothing. Well, the testimonials you see on the website are not real. These are just randomly designed posts with pictures created by the scammers to put them up on display on the website. There is nothing authentic about the claims and more over they are too exagerated and unrealistic. For example, one of the testimonials include a person saying he made 92.56% profit returns. These are distinctively false because high amount of pay outs in binary options trading is not everyone’s cup of tea. The Insured Trading app seems to employ some kind of an algorithm by the name Insured Trading Protocol. With this algorithm the software analyses billions of market variables 1 millionth of a second before your final auto trade expires if the IOP detects a risk within the parameters of over 0.001% it places another trade. This is what you will be informed about the Insured Trading software in the website which ensures that with this algorithm you are supposed to get a guaranteed success because it will always counter trade a bad trade. Well this is a complete hoax and I doubt such big claims about this technology really functions. Best Binary Options Auto Trader With Proven Results! Conclusion – Insured Trading App is nothing but a dangerous Scam! We found no genuine information about the system and the creators of it. So, it’s totally clear to us that the Insured Trading is a scam system. And we recommend you not to invest your money in them. They have not a single proof in support of their legitimacy. So, it’s a binary options trading system which you should avoid. You can find out many similar scam systems here. And, practically it is not possible to earn that much money in binary options trading within so short period. Also, their claim that the system was featured on CNN Business Review are not really true because they do not actually provide with any such tangible evidence. 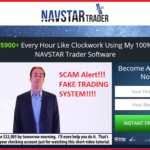 In simple words just avoid this scam software and say good bye to all the suspicious people who recommend you this system. You will just do a big favour to yourself that way. I hope this Insured Trading app review helped you in taking right decision. Don’t forget to share your opinion about this system in comments below. Thank you Sofy for exposing Insured Trading Scam!